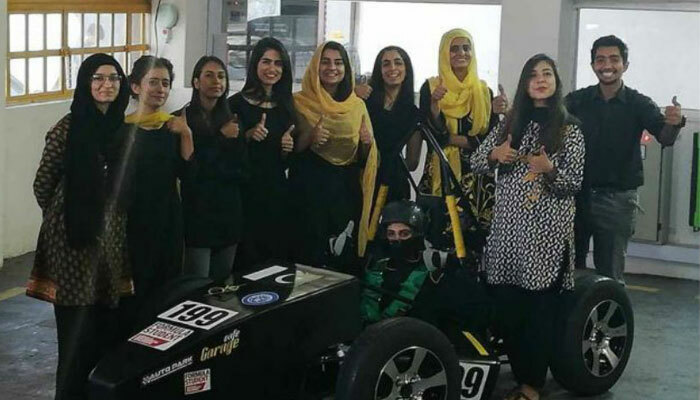 With an increasing number of women venturing in the field of motorsport, an all-girls team from Pakistan claimed global fame as they built a single- seater Formula car at the Student Formula Competition held in UK. 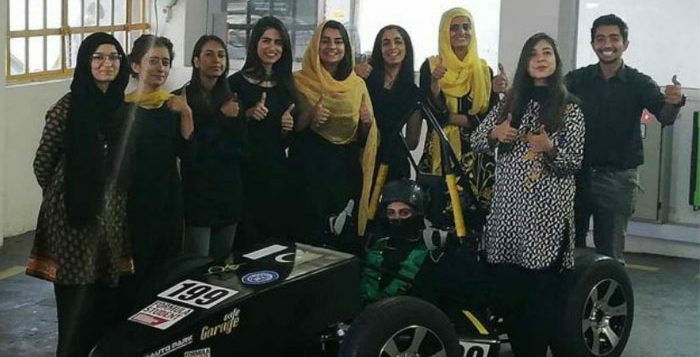 Representing their varsity National University of Science and Technology (NUST) Islamabad in the competition that had students compete from across the globe, the all-girls team named ‘Team Auj’ has earned unique distinction of being the first ones ever to have built the race car. 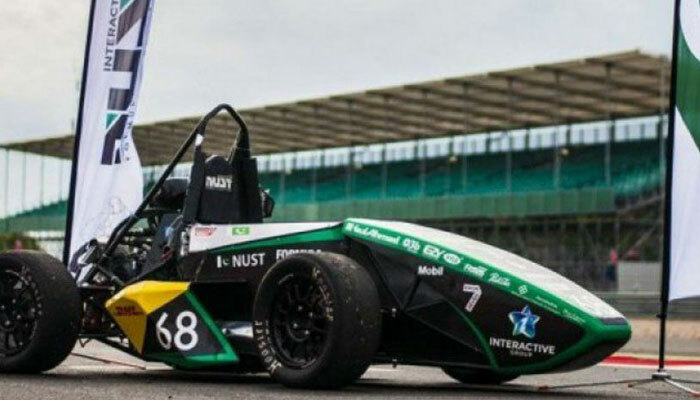 The Student Formula competition is a distinct platform that provides opportunities to candidates from various universities to build single-seater race cars. This competition takes place at the Silverstone Circuit in the UK. ‘Team Auj’ consisted of 15 girls belonging to different disciplines including electrical engineers, industrial designers and members from business management. Additionally, Team Auj also won the ‘Spirit of FS’ award at the competition this year and received a standing ovation for their participation.